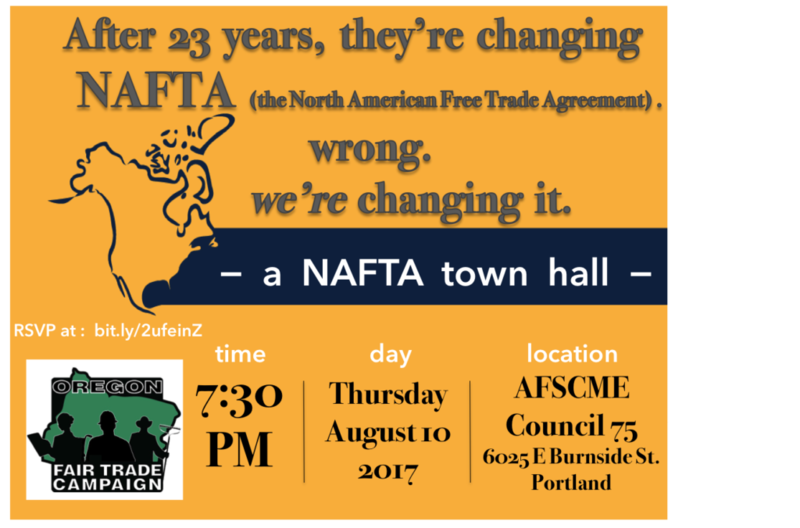 The NAFTA politics — where do they stand? Who will be the winners of a NAFTA renegotiation? Could it be labor and environment and community groups? Only if we show up. Get answers to these questions, and join forces — for all the reasons that the NAFTA legacy cannot go on — to move us toward greater global justice in this unique 21st-century moment, of looking hard at a late-20th-century trade-policy paradigm. This entry was posted in NAFTA. Bookmark the permalink.